(Incase Sick On The Way Kailash Yatra). International Flight Tickets But Kathamndu – Lhasa – Kathmandu Air Fare Include. Arrival Kathmandu Transfer To Hotel, Evening Program Briefing, Meal Plain .Ude. Full Day Sightseeing In Kathmandu Valley By Ac Coach: Pashupatinath, Buddhanath, Swayambhunath, Jalnarayan & Kathmandu Durbar Square, Meal Plain. Fly Kathmandu/Lhasa (3700M) 1 Hrs Flight .Transfer To Hotel, Meal Plain. City Tour In Lhasa: Visit World Famous Potala Palace & Jorkhang Temple & Barkhor O/ N Hotel, Meal Plain. Early Morning Drive 360Km To Shigatse (3900M) Via New Road, Visit To Tashilungpo Monastery Where The World’S Highest (33M) Gold Gilded Statue Of Future Buddha Maitreya Is Located. O/N Hotel. Meal Plain. Drive 340Km To Saga, Joint The Regular Kailash Route. O/N New Sanga Hotel At Sanga, Here Our Crew Will Meet, Our Cook Prepair Food & Serve. Drive To - Lake Manasarovar 385Km (4500M).Very Auspicious Day For All Yatri Who Will Have First Glimpse Of Holy Manasarovar & View Of Mt. Kailash From Horchu Pass. 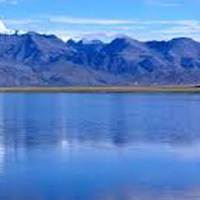 Overnight Stay Lodges At Chhu Gompa At The Shore Oflake Manasarovar. Meal Plain. Trek To Zutulpuk (4790M) 22Km. Walk Approximately 08 / 10 Hours - Parikarma Continues, This Is The Day Every Pilgrims Talks About, The Most Difficult Journey Through Out The Trip, Trek Up To Dolma La Pass(5600M). We Will Offer Very Short Prayers At Dolma La & Move Towards Gaurikunda. They Programmed In The Same As Usual, Zutulpuk Overnight Stay At Guest House. Meal Plain. Drive Back To Shigatse, Meal Plain. SEPTEMBER: 1, 5 LAST DATE. Kathmandu - Lhasa – Kathmandu Air Fare Includes.